The two installed lights, and power saws, and drills. Their productivity increased fourfold. They hired local workers to make, sell, and ship more tables and chairs, of better quality, at higher prices, to local and far away customers. Workers had more money to spend, thereby benefitting still more families. Two hundred miles away, near Tzaneen, other South African entrepreneurs realized their soil and tropical climate produced superb bananas. After their rural area got electricity, they launched the Du Roi banana cloning laboratory and nursery, where scientists develop superior quality, disease-free seedlings that are placed in gel in sealed containers and shipped all over Africa and to other parts of the world. Educated in a rural school only through tenth grade, Jane Ramothwala was a hotel maid before becoming a general nursery worker with the company. Over the ensuing decades, she worked hard to learn every facet of business operations, taught herself English, and took adult training and education courses – eventually attaining the position of manager for the company’s plant laboratory. Access to electricity, Jane says, “has had a huge impact on the quality of life for many families in rural parts of Limpopo Province.” It has improved her and her neighbors’ lifestyles, learning opportunities, and access to information many times over. Affordable energy brings jobs, improved living standards, and pursuit of happiness. But across the globe, nearly three billion people – almost half the world’s population – still lack regular, reliable electricity. Nearly 1.3 billion people have no access to electricity. In sub-Saharan Africa, more than 600 million people – almost twice the population of the United States, and 70 percent of the region’s population – still have no or only limited, sporadic electricity. More than 80 percent of its inhabitants still rely on wood, dung, and charcoal fires for most or all of their heating and cooking needs, resulting in extensive smoke and pollution in their homes and villages. Their mud-and-thatch, cinderblock, and other traditional houses allow flies and mosquitoes to zoom in, feast on human blood, and infect victims with malaria and other killer diseases. Women and children must walk miles, carrying untreated water that swarms with bacteria and parasites that cause cholera, diarrhea, and river blindness. Unrefrigerated food spoils rapidly, causing still more intestinal diseases. Hundreds of millions get horribly sick and five million die every year from lung and intestinal diseases, because of breathing smoke from open fires and not having refrigeration, clean water and safe food. When the sun goes down, their lives largely shut down, except to the extent that they can work or study by candlelight, flashlight or kerosene lamp. Unless reliable, affordable electricity comes, it will be like this for decades to come. Little by little, acre by acre, forest habitats will become grasslands, or simply be swept away by rains and winds. And people will remain trapped by poverty, misery, disease and premature death. Those “orphan fuels” could and should be put to work, instead of wasted. However, it is not just the byproducts of crude oil production that should be put to work. Indeed, they are a tiny fraction of energy resources poor nations have but rarely used. Byproducts in one case are primary products in many others. “Over 90% of Ugandans cannot really use their education, skills and desire to improve their lives,” Cyril Boynes, the late director of the Congress of Racial Equality Uganda, told me. “They can only do what is possible with wood, charcoal, paraffin and muscle power. How is that different from what our ancestors could do 100 years ago?” he asked. Or from what Americans did before their Civil War, or even Revolutionary War? How has their progress been held back for so long? Africa has numerous oil, gas, coal, and shale gas deposits, most of which have barely been delineated, much less produced, Boynes pointed out. All across the underdeveloped world – from Eastern Europe to Asia and Latin America – countries have energy riches that could be harnessed to electrify and modernize communities and entire nations. Africa’s natural gas alone “could fuel several big power plants that would generate enough electricity to turn lights on all over Uganda and the [African] Great Lakes region,” he noted. Developing these hydrocarbon resources would generate electricity, jobs, prosperity, and improved health for decades to come. Though the deposits would eventually run out, Africa and other poor regions would improve dramatically in the meantime – by which date human ingenuity will have devised amazing new energy generation and efficiency equipment, if technological advances over the past 50 years are any guide. Hydroelectric projects in Chile’s Patagonia region and many other countries around the globe could bring similar benefits to the people in those nations. Wind and solar can be a temporary measure for small remote communities, but cannot meet the needs of modern communities, South African energy and nuclear consultant Kelvin Kemm notes, because their electricity is too expensive and unreliable. It takes years to build expensive rail lines to haul coal from Africa’s few big coal deposits, and transmission lines to carry power hundreds of miles. Some African countries have natural gas, but developing this resource and building the necessary pipelines is in its infancy. Hydroelectric has enormous potential in some areas, but building dams faces many obstacles and also takes many years. But the projects need to be launched, Kemm says, to ensure power for future generations. The bottom line, Boynes told me, is that reliable, affordable electricity would mean people “wouldn’t have to continue living in poverty and darkness, without the jobs and other blessings that electricity can bring. We could provide it to hundreds of villages and cities in a few years, if environmentalists would stop fighting” almost every energy project that is proposed. “It’s a good thing Uganda already has the Nulubaala Power Station,” he added. “Otherwise it wouldn’t have any electricity.” Beyond Kampala and Jinja, however, few Ugandans have electricity – an untenable situation that is repeated all over Africa and in many other countries. Simply put, to empower families and communities – and provide them with modern technologies that improve, enhance and safeguard lives – you first need to empower them with plentiful, reliable, affordable electricity. And to become electrified, poor nations need more than a business plan. They need fewer restrictions on electricity generation projects – and less foreign aid, Dambisa Moyo emphasizes. They need more foreign trade and investment, more business, agricultural, property rights, and banking expertise, and greater encouragement to develop economically. They need legal and regulatory systems that enable investors, entrepreneurs, and markets to flourish, while safeguarding honest businesses and families against dishonest and corrupt practices, businessmen, politicians, and bureaucrats. Foreign aid comes with countless strings attached. It also “transfers money from poor people in rich countries to rich people in poor countries,” economist Peter Bauer frequently quipped. It is “life support for corrupt dictators,” says James Shikwati, director of Kenya’s Inter-Region Economic Network. Poor countries need access to investment capital to build large-scale modern power plants of every description. They need honest governments that are committed to improving the lot of their people, growing the economic pie for everyone, courting foreign investors, and responding firmly and forthrightly to environmental activists who oppose coal, natural gas, hydroelectric and nuclear electricity initiatives. Interim measures like solar ovens, small solar-powered charging systems, photovoltaic panels, and batteries for houses and clinics, and occasional wind turbines can provide villages with intermittent power for lights, radios, and small appliances. However, these efforts are little more than first aid for desperate families and communities. They are essential, but not nearly enough. They are like first responders who must still get victims to a hospital for life-saving surgery and post-operative physical therapy. Brazil, China, India, and Indonesia finally stopped relying on World Bank and other grants and loans that always came with numerous restrictions. Instead, they began financing and building their own projects. Today, they are not about to stop constructing new coal-fired power plants; nor are responsible developed countries going to tear down coal or gas generating plants or abandon fossil fuel-powered vehicles. Both countries’ power plants are increasingly cleaner; new plants are gradually replacing older, dirtier ones; and old plants are being retrofitted with modern pollution controls. Worldwide, well over 2,000 new coal-fired generating plants are under construction or in advanced planning stages, the bulk of them in Asia, but many in Europe. Africa and other poor regions should adopt the same approach – and assert their fundamental human rights to generate electricity by building the power plants they need. They should seek investors who want to build power plants, or will do so as part of arrangements to open mines, seaports, and other facilities. Electricity is needed to run these facilities; investors can simply be required to construct more generating capacity than they need to operate them, as part of the contractual arrangement for licenses and permits. “If abundant, affordable, clean energy and water were readily available to everyone, all the other problems would become much easier to solve,” Nobel Laureate Richard Smalley once observed. Of course, “clean” does not have to mean totally non-polluting, non-carbon dioxide emitting, or even built with “best available” or “maximum achievable” control technologies found on many U.S. and European power plants and factories. Modern coal-fired power plants are far cleaner than their predecessors. But even older, dirtier units are infinitely cleaner than open fires that provide pitiful amounts of polluting, deadly energy for the barest necessities. Gas-fired plants are cleaner still, as are modern nuclear and hydroelectric facilities. First- generation power plants can fuel economic booms that finance the installation of steadily improving pollution controls over time. And the more electricity there is, the more jobs are created, and the more electricity, basic necessities, and modern conveniences people can afford. As Andrew Revkin stated, to suggest that impoverished nations should worry more about CO2 than about tuberculosis, cholera, or malaria is absurd. To tell them their energy options must be limited to expensive, unreliable, insufficient wind and solar power is immoral. To impose anti-hydrocarbon restrictions on poor countries is to ensure that they will remain poor and diseased, with life expectancies in the low forties. “Every year environmental groups celebrate a night when institutions in developed countries (including my own university) turn off their lights as a protest against fossil fuels,” Rossiter adds. “They say their goal is to get America and Europe to look from space like Africa: dark, because of minimal energy use. Rossiter is absolutely correct. Western nations and international agencies must stop erecting barriers to large-scale electricity projects and propagating scary scenarios about “catastrophic manmade climate change” and other environmental disasters that in reality are often mere speculation – and far less dangerous and harmful than the “solutions” proposed to address them. The road forward is long, rocky, and strewn with needless obstacles. But it must be taken. Ghana recently built a 130-MW gas-fired power plant, to bring electricity’s blessings to more people, schools, hospitals, and businesses. But when it asked the U.S.-funded Overseas Private Investment Corporation to support the $185-million project, the corporation refused to finance even part of it. OPIC and other federal agencies are subject to President Obama’s executive order requiring them to reduce greenhouse gas emissions associated with projects they finance by 30 percent over the next ten years. OPIC’s decision threatened to add as much as 20 percent to the project’s financing cost. To end this critical demand-supply imbalance, the Pretoria government applied for a World Bank loan for its 4,800-megawatt coal-fired Medupi power plant. It will be the world’s largest coal-fired power station and will be air-cooled, rather than water-cooled, and equipped with state-of-the-art pollution control and “supercritical clean coal” technologies. Thankfully, the bank narrowly approved the loan, and the project has proceeded, albeit behind schedule and well over its initial budget. By late 2015, its Number 6 turbine was generating some 790 megawatts of electricity and the Number 5 turbine should be operational soon. “Radical groups,” says Congress of Racial Equality national chairman Roy Innis, “claim to champion justice and better health for Africa. But they oppose the very technologies that would make that possible.” They worry about speculative and often far-fetched risks of using modern coal- and gas-fired power plants. But they ignore the very real, immediate, life-threatening risks that these technologies would reduce or prevent – and the wonderful economic prosperity and other benefits they would bring. Indeed, environmental activists continue to say the primary threat to Africa’s well-being is global warming, which they claim will spread disease, shrink water resources, and deplete crops, leading to more famine and conflict. 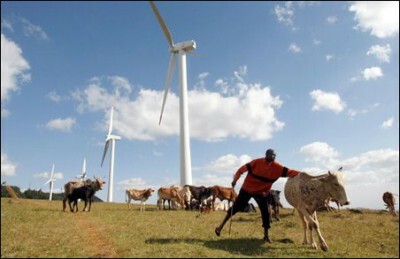 Africa, President Obama says, can increase its access to electrical power, “while skipping – leapfrogging – the dirtier phase of development,” by using its “bountiful” wind, solar, geothermal and biofuel energy. Wind and solar power is too expensive and unreliable to meet the needs of emerging or developed economies. Biofuels require millions of acres of wildlife habitat and scarce farmland in a drought-stricken and famine-ravaged region – plus enormous amounts of water, fertilizer and insecticides – to produce energy that could be far more easily and abundantly obtained from coal mines and oil and gas wells on much smaller land areas, with far less water. Moreover, the proposed Ghanaian and South African power plants already “leapfrog dirtier development phases” that the United States and Europe went through, by utilizing the latest in power generation and pollution control technology. “Renewable energy would do little to address the desperate crises that threaten Africans’ health, welfare and lives,” Innis notes. Repeated across Africa, climate change and renewable energy restrictions “will threaten numerous projects, and prolong poverty and disease for millions.” They will undermine the ability of Sub-Saharan African nations to achieve energy, economic, and human rights progress. The edict sent women and children scavenging for dead branches, cow dung, grass, and anything else that burns. “People cannot cook,” said human rights activist Merlin Totinon Nguebetan. “Women giving birth cannot even find a bit of charcoal to heat water for washing,” said a mother. The government admitted it had failed to prepare the public for its sudden decree, but said propane might be an alternative fuel, at least for families lucky enough to locate some. When citizens protested, they were violently dispersed by police. This could perhaps happen – if human carbon dioxide actually has replaced the numerous powerful natural forces that have always driven climate change, and if Antarctica’s year-round temperatures actually rose from -50 degrees Fahrenheit to at least 33 degrees, to melt all that ice. They are dying in large part because their countries are destitute and primitive, because they don’t have access to hydrocarbon energy that would power water purification plants; replace open fires to heat homes and cook food; fuel cars, trucks, and buses that carry people, food, and consumer products; and generate electricity to power homes, clinics, hospitals, schools, factories, offices, and shops. In short, fossil fuels that environmentalists hate create jobs, hope, opportunity, prosperity, and infinitely better health than people in those impoverished nations have ever known. Instead, they are starving and dying because of callous attitudes of far too many environmentalists and government bureaucrats who currently devise and control energy and climate policies – while living well themselves, thanks to the same fossil fuels and modern technologies they deny to others. Their comments and attitudes are mindboggling and outrageous. Not surprisingly, those attitudes anger people in poor countries. “Anti-globalization protesters seem to believe that poor people don’t want the same conveniences of life that they themselves enjoy: running water, permanent homes, affordable clothes and food, leisure time, cars. 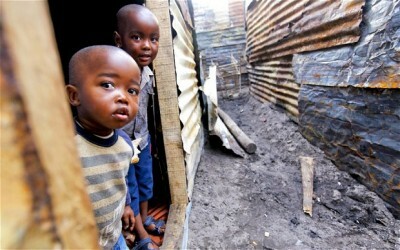 They prefer that things stay ‘exotic’ – underdeveloped and poor,” Kenya’s Akinyi June Arunga observed. In 1862, the Civil War was raging. Nine of ten Americans were farmers, versus 2 percent today. The industrial revolution was in its infancy. Malaria halted construction on the Washington, DC aqueduct. Typhus and cholera killed thousands more every year. Life expectancy was 40. Progress over the next half century was limited. By 1900, coal and wood heated America’s homes and shops, spewing toxic soot and gases into urban air in prodigious quantities. A few families had telephones and electricity. Air conditioning units were open windows and handheld fans. Ice blocks cooled ice boxes, to keep food from spoiling too quickly. New York City collected 900,000 tons of vehicle emissions – horse manure – annually, and dumped it into local rivers, rendering their waters unfit to drink and their fish and shellfish unfit to eat. Lung and intestinal diseases were rampant. Life expectancy was 47. That’s about what average life expectancies are today in sub-Saharan Africa: 46 to 52 years. Thankfully, progress since 1900 has been nothing short of astounding in the United States and dozens of other nations – where average life expectancy is now around 78, and even poor Americans enjoy better living standards than kings and queens did a century ago. Unfortunately, even today, “the good old days” prevail over too much of the world. Living standards in Africa and many other parts of the world remain not much different from those in 1900 or even 1862 America. Few Americans would be thrilled by the prospect of returning to either era. They should be equally dismissive of policies that would keep any family or country living under conditions that prevailed in those earlier times. What Will Happen to the World’s Poor? Whether the world’s poor will take their rightful places among the Earth’s healthy and prosperous people – or must give up their hopes and dreams, because of misplaced health and environmental concerns. And whether poor countries, communities and families will determine their own futures – or the decisions will be made for them by politicians, and activists who use environmental disaster claims to justify treaties, laws, regulations, and policies that limit or deny access to dependable, affordable electricity and other modern, life-saving technologies. Ethical people in wealthy developed countries should support the aspirations of poor families, communities and countries all over the world. They should help them address Real World health and environmental problems, while resisting calls to focus on speculative problems or implement policies that will actually worsen current conditions, disease problems and death tolls. In large part this means helping poor nations produce abundant supplies of the affordable, dependable energy that is the lifeblood of modern societies, and the key to a better future for people everywhere. Anything less is callous, immoral eco-manslaughter. If these countries can harness their energy resources, put their creative skills to work, and unleash the power of electricity and free enterprise – under sound and honest legal, regulatory, economic and property rights systems – they will generate previously unimaginable opportunity, health, and prosperity for billions. The stories of Thabo Molubi, Bheki Vilakazi and Jane Ramothwala were provided courtesy of nuclear engineer and consultant Kelvin Kemm of Pretoria, South Africa. DuRoi Nursery provided further information. Dambisa Moyo, Dead Aid: Why aid is not working and how there is a better way for Africa, New York: Ferrar, Straus and Giroux (2009), page 5 (citing World Bank World Development Indicators). Dambisa Moyo, Dead Aid, page xix. Geng Lee and Michael Economides, “Coal: China’s energy pillar,” Energy Tribune, January 28, 2009; “India’s high emission level OK: World Bank,” Times of India, May 9, 2009. Coal-based electricity generation in the United States has tripled since 1970, but emissions of sulfur dioxide, nitrogen oxide, particulates and other “primary” emissions fell by nearly 80% over the same period, according to the US Environmental Protection Agency. The steady progress is due to vastly improved emission control technologies and the growing use of low-sulfur coal. Caleb Rossiter, “Sacrificing Africa for climate change: Western policies seem more interested in carbon dioxide levels than in life expectancy,” Wall Street Journal, May 4, 2014. This article resulted in Rossiter being terminated as an associate fellow at the “progressive” Washington, DC think tank, the Institute for Policy Studies. Suzanne Goldenberg, “World Bank’s $3.75bn coal plant loan defies environment criticism,” The Guardian (London), April 9, 2010. “Panic, outcry at government charcoal ban,” IRIN News, January 9, 2009, http://www.irinnews.org/news/2009/01/16/panic-outcry-government-charcoal-ban; Paul Driessen, “Eco-imperialism degrades Africa,” February 14, 2009, http://townhall.com/columnists/pauldriessen/2009/02/14/eco-colonialism_degrades_africa?page=full&comments. Mine Your Own Business: A documentary about the dark side of environmentalism, Phelim McAleer and Ann McElhinny, producers, New Bera Media and Moving Picture Institute (2007). Marc Morano, “Environmentalist laments introduction of electricity,” CNS News, August 26, 2002. Ed Begley, Jr., Public Relations Society of America teleconference, October 29, 2002. Ryan Kierman, “Obama: Planet will boil over if young Africans are allowed cars, air conditioning, big houses,” CNSNews.com, July 1, 2013. Akinyi June Arunga, “Smug WTO foes are no friends of poor: Environmental activists deny the world’s poor the very blessings that they themselves enjoy,” Providence Journal, September 21, 2003. United Nations Development Program, “Human Development Report: Education drives Africa development gains over 40 years,” November 4, 2010. The self acclaimed geniuses of the so called ‘progressive elites’ (which includes illuminaries such as Barack Obama and Jay Weatherill and millions of other smug smart alecs from around the world) are entirely responsible for the ongoing calamity described in this article. Now its been revealed that the blocking of the Adani coal mine development in Queensland is a victim of these same ‘progressive elites’ – a mine that would help provide reliable, non intermittent power to millions of citizens in India and it has the backing of the Indian government. As Alan Jones has said, it is ‘people power’ that will stop this nonsense and the absurd belief that ‘wind turbines’ can power any modern appliance. Meanwhile, for South Australians, welcome back to the ‘good old days’ and decreasing life expectancy for your children and grand children – and forget about ‘life support’ equipment.